2 Bedroom End of Terrace House For Sale in Middlesbrough for Offers Over £200,000. FEATURED IN THE BIG OPEN HOUSE - Please call for viewing arrangements. 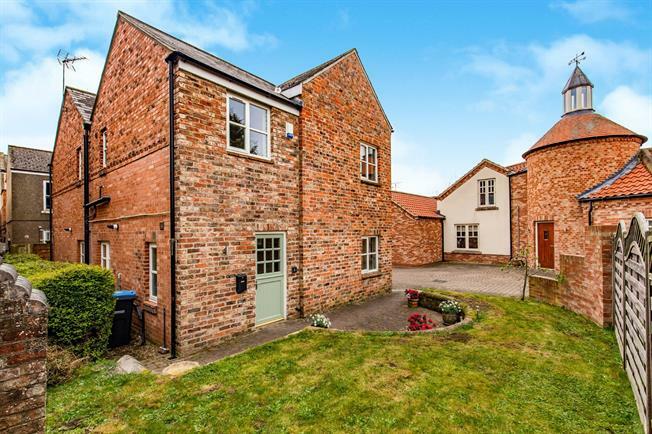 Conveniently located just behind the popular Stokesley High Street, this charming two bedroom cottage is immaculately presented throughout, and offered to the market with NO CHAIN the property features light and spacious living accommodation with modern fixtures and fittings in the bathroom and kitchen. Externally there is a garden to the front and side which is mostly laid to lawn. The lounge is fully carpeted with a feature fireplace, uPVC double glazed windows overlooking the side of the property and a stairway leading to the first floor. Ground floor W.C. Comprising a white standard W.C. And Wash basin and oak flooring. A traditionally styled modern kitchen with a good range of base and wall units, with integrated hob, oven, fridge/freezer, dishwasher and washing machine, with a Belfast style sink and oak flooring adding the character of the property. Fully carpeted, with uPVC double glazed windows, and a radiator. Beautifully presented family bathroom, comprising a white three piece bathroom suit with bathtub with over bath shower and shower screen, WC and wash basin, with travertine tiling to the floors, half walls and around the shower and bath area. Externally the property has a garden to the front and side, which is mostly laid to lawn, and a patio area to the front of the entrance.